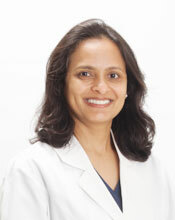 Dr. Rupal Javia received Doctorate of Dental Surgery degree from prestigious Loma Linda, CA University. She graduated top in the class and received clinical excellence award. 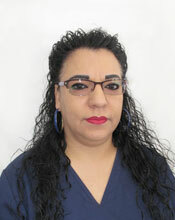 She has been working in the dental field in and around since year 2000. Prior to starting her own practice Dental Wellness, she was a managing dentist for a large dental clinic where she expanded her skills and performed hundreds of dental procedures, and also learned from mentors around her. 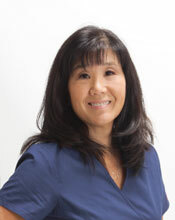 Her emphasis on patient comfort as well as keeping up to date with the latest advancements in dentistry enables her to provide patients with the best quality of care. Dr. Javia has a wide range of experience in different areas of dentistry including cosmetic and restorative dentistry to surgical treatments, implant and root canal treatments. 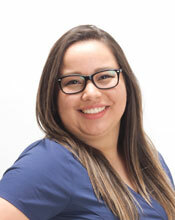 Dr. Javia loves dentistry and more importantly her patients. Under her direction, the staff strives to make the practice more welcoming, caring and comfortable dental experience for all the patients. Dr. Javia is a member of the California Dental Association (CDA), American Dental Association (ADA), and the Santa Barbara-Ventura Dental Society. Dr. Javia is married and proud parent of dog Leo. In her free time, she enjoys reading, walking and playing with Leo, art related activities and spending time with family. I was born and raised in Southern California, and have had the opportunity to live in North Carolina and Colorado for several years from 2002-2008, before moving back to California. I attended California Lutheran University in Thousand Oaks for undergraduate studies followed by Dental Hygiene school at Oxnard College. I have been practicing dental hygiene since 2000. I have always enjoyed healthcare and hands-on work with people, so a dental hygienist was the perfect choice as a profession for me. I have two children, both boys, of whom I love to spend time playing sports, vacationing and playing with our two dogs, Duke and Java. I am active in my husband’s financial advisory business and have volunteer roles in the Ventura County Habitat for Humanity, my neighborhood HOA, and my children’s school PTA. My name is Carolyn. I have been a Registered Dental Hygienist for over 20 years. I have experience in periodontal therapy and have had the pleasure of working with amazing dentists like Dr. Javia and our outstanding team. It’s been an honor working with and educating my patients, and I plan to continue to do so for many years to come. I was born and raised in California. I live in Westlake Village with my husband and two kids who are both attending college. I enjoy playing tennis, gardening and traveling. My name is Jin Ju, but most people call me Jin. 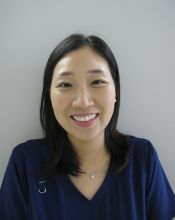 I was born in South Korea and moved to California where I graduated from Dental Hygiene School at Oxnard College. Your oral hygiene is important to me, and my goal is to provide a positive revitalizing experience with a gentle touch so that you feel confident about your smile. I appreciate healthy and delicious foods, enjoy traveling, and value being a loving wife and mother. I was born in California and raised in Central America. I had braces when I was 14 years old and since then my interest in dentistry began. I love being a dental assistant, caring for every patient that steps into the clinic, making sure everything is ready and clean for them. I always try to make sure every patient is comfortable during the procedure. I love my job, interaction with the patients and always look forward to come to office. It’s my pleasure working with Dr. Javia and other staff members of Dental Wellness. My experience with dentistry began in 2004, when I graduated as a dental x-ray technician and got my certificate and worked for 10 years as a dental assistant and receptionist for 10 years in Simi Valley area. 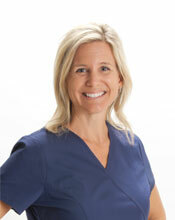 I joined Dental Wellness of Westlake village in April 2014 and it’s a pleasure working with Dr. Javia. I enjoy helping people and seeing the beautiful smiles that we create every day. Seeing the faces of relief after the doctors treat our patients is the best feeling. Knowing that we did something good for someone is priceless. I am blessed to be surrounded by amazing patients and team that I consider part of my family. A few things about me. I have been in United States since I was 6 years old. I came with my mom from Mexico. I went to school in the San Fernando Area and graduated from James Monroe High School in 1991. The best moments are spending time with my family and friends. I am married to a wonderful man that I love. I have two wonderful daughters and one son and 5 amazing grand kids. I was born and raised in Ventura County. I enjoy visiting our beautiful beaches and love our weather. I spend my free time making memories with the beautiful people in my life. I was recently given the opportunity to begin my dental career at Dental Wellness. My interest in the dental field began during the senior year of high school. After high school I decided to join the college for Dental Assistant degree. I like dental field because it gives me opportunity to interact with people, love to care of patients and make them comfortable and it gives me an opportunity to learn something new everyday. 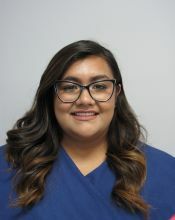 I am very passionate of what I do and look forward to a long successful career in the dental field alongside Dr. Javia and the people we serve proudly.